Guernsey's Chris Simpson feels his form may be returning after a period of "post-Commonwealth Games blues". 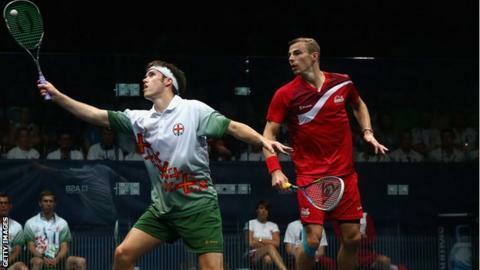 The 27-year-old reached the quarter-finals of the men's singles at Glasgow in July before losing to eventual gold medallist Nick Matthew. He returned to action last week at the Hong Kong Open, where he was knocked out in round two by Mohamed Elshorbagy, who went on to take the title. Simpson admitted: "It was hard to get back into the flow of things." He told BBC Guernsey: "The summer is usually the off-season for squash players so my schedule was thrown upside down a little bit. "After the highs of the Commonwealths there was a few low moments, some post-Games blues. "This tournament [in Hong Kong] highlighted that but it's got the season kick-started, so I'm hoping to find the form I had at the Commonwealths to take into the next few tournaments." Reaching the last eight was the best Simpson had achieved representing Guernsey at the Commonwealth Games, having failed to get past the third round in three previous attempts. He is now currently ranked in 25th in the world and has set his sights on beating higher-ranked opponents this season in order to move up the standings. "My first aim is to solidify myself in the top 20. I've previously reached the top 20 but only for two months," he continued. "Last season I got one win over a top-10 player so I'd like to make sure I get two or three, to make sure those guys know I can beat them on any given day."